Looking to help out some authors? Here are some quick any easy ways to help out! Just click on each link and like each page. Help spread the word! Is it possible to walk on a razor’s edge and not bleed? 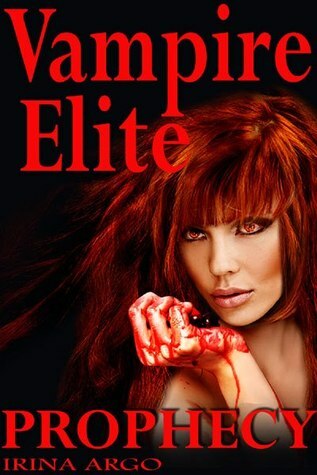 Find out in a new vampire series, Vampire Elite. …a fascinating read and definitely a book for anyone who loves fantasy, romance and of course vampires. …a spellbinding novel of action, suspense, romance, and conscience … character development is superb … the type of book that will make you read all day until you get to the end! It is deliciously addictive! A millennia-long war between two immortal races is about to come to an end. Long ago, the Vampire Elite began capturing the immortals called the Amiti, attracted by their unique blood properties. Now most Amiti live in underground cells, forced to serve as vampires’ bloodstock. The few surviving free Amiti, preparing a final strike, have declared their Queen a traitor. Her execution makes possible the rise of a new Queen, her young daughter Arianna, who will inherit her mother’s mystical powers. Working with the Keepers of the Key, Arianna may be able to eliminate the vampires, once and for all, from the face of the earth. and she’s ready to fight to the last drop of her blood. Weredogs, Camden and Rennick, are partners both on and off the battle-field. Hard fighting and hot loving afterwards has created an unbreakable bond between the two men, but when a new combat sergeant is assigned to their unit, it changes everything. Both men want her, they just have to get her on board with that plan. Combat Sergeant Wynter Ferris has spent years proving she’s not just another admiral’s brat. Genetically patched and with a distinguished service record, she’s as hard as nails and twice as tough as most of the men she leads. Being assigned to a weredog unit, even though she’s human, is proof of command’s faith in her abilities. Either that or the ongoing war means capable sergeants are thin on the ground… But when she meets Camden and Rennick, the rules of her world change. Can a soldier with a secret make a relationship with two dogs work? Or will the service and secrets pull them apart?